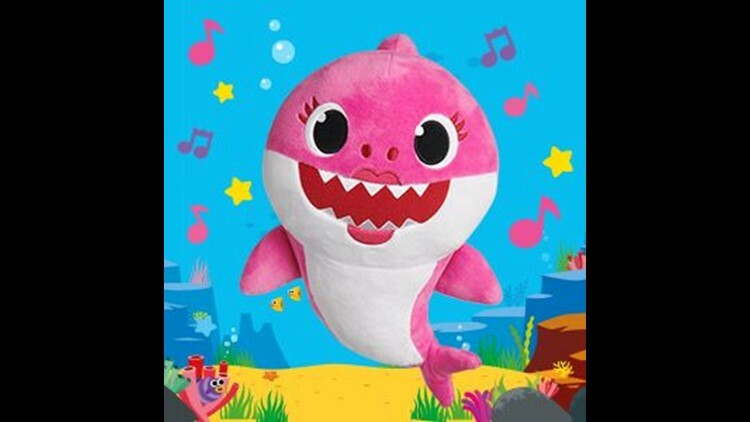 The 'Baby Shark' song sparked a pop-culture craze that's manifested into clothing, toys, and now, Christmas light displays. Christmas light display flashes to "Baby Shark"
We're sorry, do-do-do-do-do-do, but that's about to change. We just had to show you this amazing Christmas light display from the Hinojosa family of Boerne, Texas, that's synced to "Baby Shark." Homeowner Beto Hinojosa told KENS5 he used 100,000 lights in the massive display. Lights are wrapped around everything from the top of the two-story house to the mailbox. It has blinking decorations of candy canes, trees and a tunnel. This isn’t the first time the Hinojosas' light displays have garnered national attention. Last year, they did a Selena tribute.